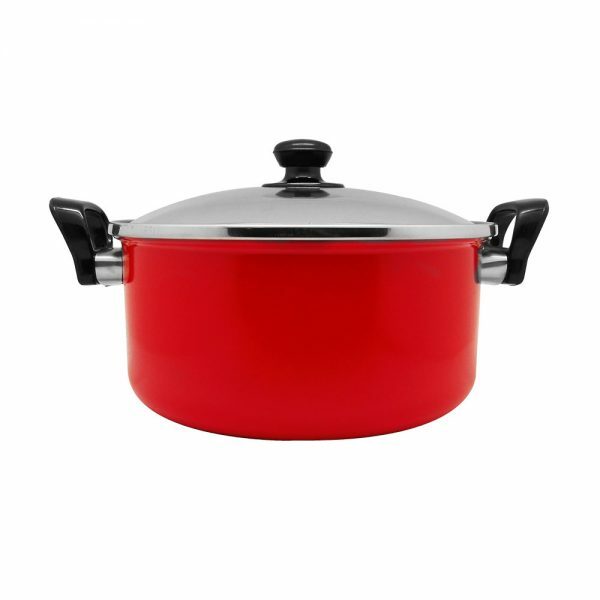 Maslon Dutch Oven from MASPION is made of high-quality steel with nonstick coating on the inside so it is safe for cooking and easy to clean after finishing cooking. Handles and knobs made of phenolics provide comfort when moving the pan position and not delivering heat. A strong and not easily scratched glass lid makes it easy to monitor the level of food maturity. Maslon Saucepan from Maspion, the best nonstick pan for Indonesian families. Ergonomic and strong handles made from phenolic make it easy to lift the pan and will not melt.